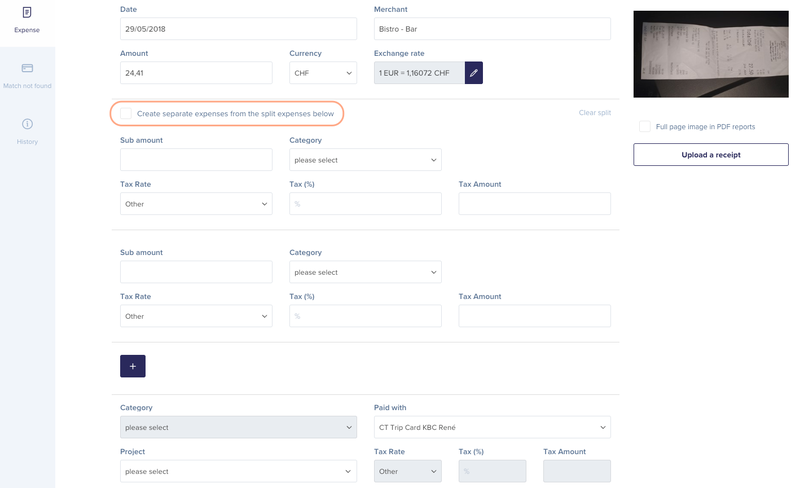 You can now fill in the sub amounts and choose the relevant category and/or tax rate. To add more sub amounts, click on the + symbol. You can save the expense at this point and the sub amounts with their different categories will be visible within that expense. You can still clear the split if needed until the point that you submitted the expense. If you need to provide more information per sub amount (dates, comments, projects, etc. 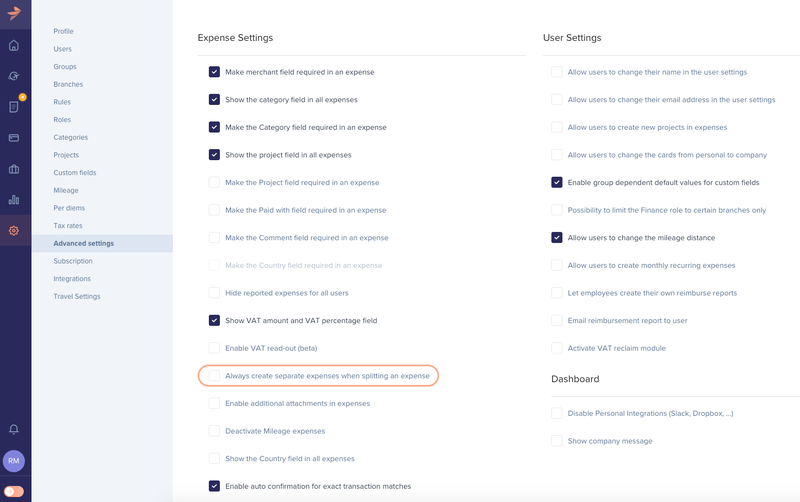 ), you can create separate expenses from the sub amounts. After filling out the sub amounts and saving the expense, the result will be separate expenses lines based on what you added already. When reopening the created lines you will also be able to complete the additional fields such as projects, comments, etc. Depending on the settings of your Rydoo account, it is possible that you can only split an expense in separate expenses.